Sunturn, now ConvergeOne, has been awarded a contract by the State of Utah allowing eligible public sector entities to take advantage of pre-negotiated discounted pricing when purchasing products from Sunturn. Sunturn designs and implements technology solutions for government agencies and municipalities to improve interoperability, provide better citizen services, refine mission performance, enhance data security and ensure Continuity of Government (COG). State and local governments rely on Sunturn to deliver an integrated communications strategy with unparalleled support for their regional and law enforcement agencies. Eligible state of Utah customers may purchase products under these contracts along with various other services related to the design, installation, support, documentation, administration and end-user training of products and solutions authorized for purchase under the State of Utah contract. Sunturn provides new applications, maintenance service, system upgrades, and service for Avaya’s portfolio of communication systems, as well as video conferencing hardware, software and services for Polycom under contract numbers AR014M and MA2210. For specific information related to the pre-negotiated pricing, and information related to ordering from Sunturn, please review links for the specific contracts provided below. 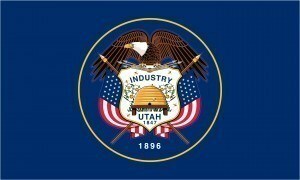 State of Utah State Cooperative Contracts can be found here.